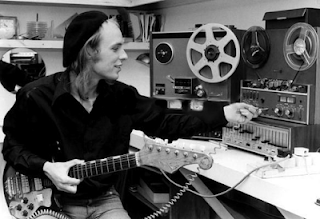 Even in the wide and great oeuvre of Brian Eno (image credit), an album like Before and after science from 1977 still stands out. The variety of songs on this landmark release have been heralded as the beginning of ambient music, as well as foreshadowing the New Wave of the eighties. The best song is Julie with..., which gives the impression of a lazy summer day where time has virtually come to a halt. It is probably the most ambient of any Eno composition outside his pure ambient albums. Simply breathtakingly beautiful. Other songs by this act that would have qualified: By this river.